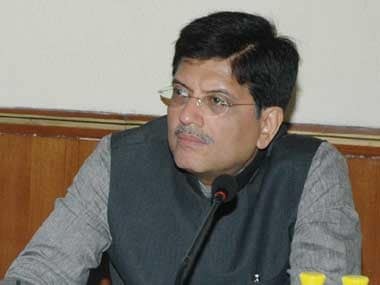 The Congress demanded the ouster of Railway Minister Piyush Goyal over the Mumbai bridge collapse, which has killed at least six people. 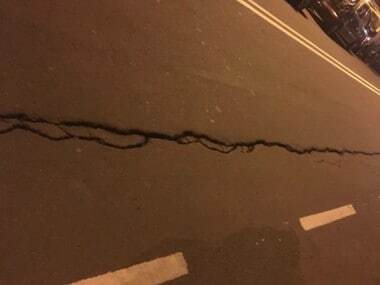 Mumbai bridge collapse LIVE updates: The NDRF team pressed for rescue operations was withdrawn from the accident spot at 10.34 pm, according to ANI. 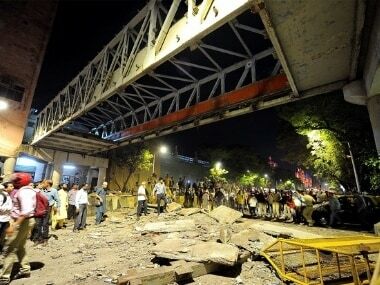 Following the news of the collapse of a footover bridge in Mumbai, Chief Minister Devendra Fadnavis has called for a meeting with BMC commissioner Ajoy Mehta and railway ministry. Reacting to the incident at one of the busiest stations in Mumbai, Narendra Modi condoled the loss of lives due to the accident and ensured Maharashtra Government would provide all assistance to those affected. 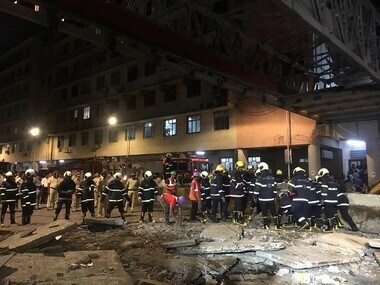 A bridge connecting the bustling Chhatrapati Shivaji Maharaj Terminus (CSMT) railway station with the Azad Maidan Police Station collapsed on Thursday. Katkar sustained injuries to her head, face, chest and arm as she took a steep fall on the tracks along with the bridge. 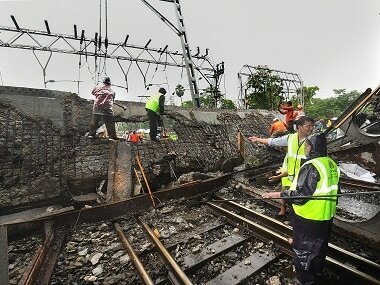 An over-bridge at a railway station in Mumbai's Andheri suburb collapsed on Tuesday during heavy rains, disrupting train services and injuring five people. 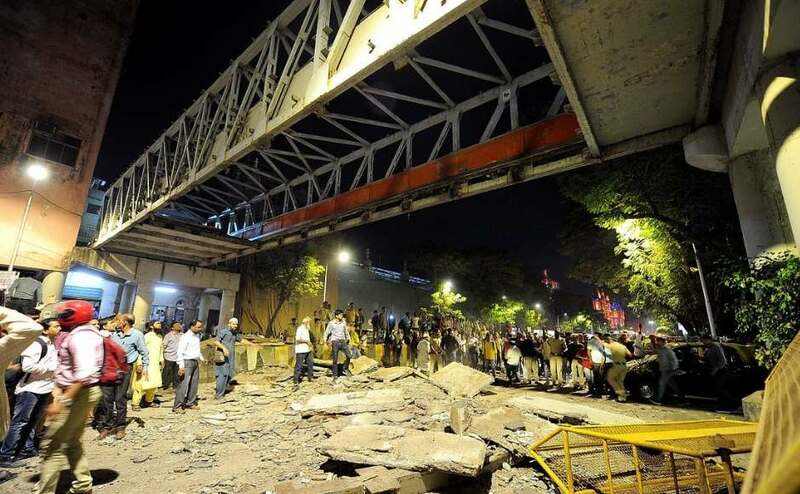 Mumbai's newspapers were scathing in their coverage of the bridge collapse incident, with the civic administration and state government coming in for particular criticism. 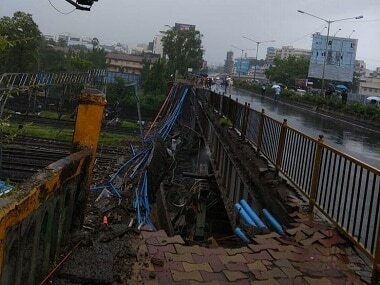 The bridge at Grant road station has cracked on Wednesday due to heavy rains in Mumbai. 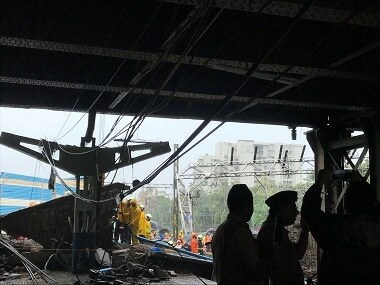 The traffic has now been diverted to Nana Chowk towards Kennedy bridge, according to the Mumbai Police.